Over the last half century, Title IX and other initiatives have proven very effective in increase participation of women in sport. But despite the growth in participation, the number of women in the coaching ranks lag behind and is even regressing in many sports. 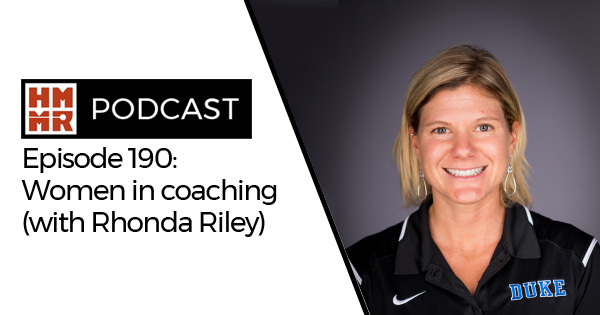 On this episode of the podcast we look at women in coaching with Duke head cross country coach Rhonda Riley. We dive into some of reasons why women are not well represented in coaching, as well as ways to fix the problem. In addition, we look at the profession of coaching as a whole and some of the issues it is facing in other areas.